This posting is ~2 years years old. You should keep this in mind. IT is a short living business. This information might be outdated. You need tools and methods to accomplish your daily tasks. No one will deny this insight. I would like to give you an insight into my box of tools and methods. These tools and methods work for me, but they do not have to work for you. The design of your personal toolbox depends on your job. Depending on who you ask, my job role consists of several roles: Currently, I am working as a consultant, head of the business unit, pre-sales consultant and technical account manager. That’s what you get when working in a very small company… And because of these different roles, my personal toolbox may differ from yours. Independent of the task, role or customer, some tools are always in use. Google Chrome and Microsoft Outlook don’t have to be explained. I use several extensions for Chrome, like OneTab, chromeIPass, Clip to OneNote, Adblock Plus, Ghostery and SwitchyOmega. Microsoft OneNote is my personal notepad, I use it for notes, snippets, sketches, code dump etc. I don’t take paper with me.In the past, I used it on my iPad and my laptop, but for about a year I only take my Lenovo X250 with me. And if I do not have my laptop with me, a simple Internet browser or my iPhone is enough to get my notes. MyLifeOrganized is similar to OmniFocus. It’s a very powerful tool for to-do lists and task management. I’m currently testing it, and I really like it. But it’s not cheap (MOL Pro for Windows $59.95, MOL Pro for iPhone $29.99, Cloud Sync for 12 month $14.95). XMind is available for free, but there is also a Plus and Pro version. I switched from Mindjet MindManager to XMind, because XMind was capable to read MindManager files. Mindjet MindManager is really expensive, and after leaving the FernUniversität Hagen, I was not entitled for academic discounts anymore. But XMind is really similar to MindManager. I like the concept of mind maps and I use it quite often for project planning and management. Microsoft Word Writing docs, proposals etc. Microsoft Word, Excel and PowerPoint are self-explanatory. Sometimes I have to use the Internet Explorer. It is 2016 and there is still software out there that simply does not work properly with Firefox or Chrome. It’s a pity… Notepad++ is a free (GPL licensed) source code editor and Notepad replacement . Good piece of software and it’s free! When I’m working for customers, I mostly need three tools: An internet browser, something for RDP connections, the vSphere C# client, and a SSH client. Royal TS makes my life so much easier! Royal TS is a connection management software for RDP, VNC, SSH based terminals or web-based interfaces. It also includes credential management. Very handy! The vSphere C# client is mandatory. Even if I have not explicitly listed it, I also have installed the Client Integration Plug-In in the vSphere Web Client, as well as the VMware Remote Console. KiTTY is a PuTTY clone. KiTTY is a fork from version 0.67 of PuTTY and includes some features like portability, automatic password, session filter, send to tray and many more. I often work with HPE products, and because of this, the HPE SalesBUILDER and the HPE Ninja STARS tool are quite often in use. 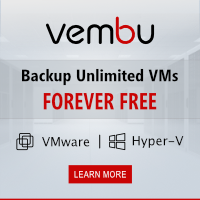 Both are available to HPE Partners only. I’m not a developer, but sometimes I have to write code, mostly PowerShell. For PowerShell, I use the Windows PowerShell ISE with ISESteroids. ISESteroids is an add-on for the Windows PowerShell ISE, which extends the ISE with many, many useful features. I have written a blog post about it. VMware PowerCLI is self-explanatory and a must, if you are frequently working with VMware products. I have rarely used GitHub Desktop to manage my code, but I have decided to change this for 2017. I use GitHub Desktop to sync my code between my two laptops (one for work, and the other for lab, projects etc.). I’m still in the process to learn Python, and I have written a blog post months ago why I want to learn Python (Hey infrastructure guy, you should learn Python!). I played a bit with PyCharm Community edition, but now I’m using the Python IDLE again. It’s basic functionality is enough for the moment. You may be wondering about this list, because GTD and Pomodoro are both time-management methods. And you may wonder how Kanban fits into this list. It’s all about the flow. The idea behind GTD is to get tasks out of your head by writing them down, and breaking them down into smaller work pieces. This allows you to focus on accomplishing tasks. Btw: Mind mapping is a great way to graphically depict this. Pomodoro uses a timer to break down work into intervals, traditionally 20 to 25 minutes, separated by short breaks of 5 minutes. After four intervals, a break of 15 minutes is given. This technique can improve mental agility, and help you to focus on the currently active task. But what if a distraction pops into your head,? Write it down, then get back on the active task. That is the link between GTD and Pomodoro. Kanban implements the pull principle in Lean Management. It limits the work in progress, thereby avoiding waste through multitasking and context switching. Kanban uses visual elements (cards on a board) to visualize the current state of the work and the workflow. This box of tools and methods works for me in my current situation. Feel free to leave a comment, or write a blog post about your tools and methods. This entry was posted in Job and tagged job, lean, productivity on November 27, 2016 by Patrick Terlisten. The IT Infrastructure Library (ITIL) is a set of pre-defined processes and common practices (I try to avoid the word “best practice” when talking about ITIL) for the IT service management (ITSM). ITIL doesn’t tell you how to design a process. ITIL is a collection of common practices. Usually, you have someone that helps you to design and implement the processes and functions. If you don’t have an experienced consultant, you might get processes, that lead you to the wrong direction: Big, fat, complex, ugly, error prone processes. At the end, your processes have to deliver value. But I saw so many crappy/ slow/ complex processes that doesn’t deliver any value, that I seriously began to doubt in ITIL. But again: ITIL isn’t slow, complex or error prone by default. The processes you design are slow, complex and error prone. The success of ITSM with ITIL is based on the processes that you design and implement. The biggest difference between ITIL v2 and ITIL v3 is, that ITIL v3 focuses on the full life cycle of services, covering the entire IT organization. The ITIL Service Operation phase manages services in supported environments. 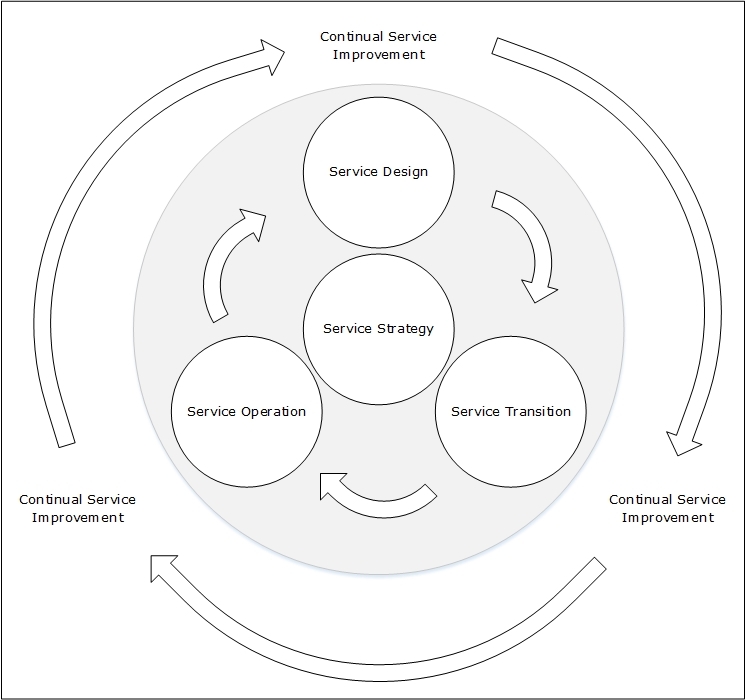 The ITIL Service Operation volume describes the Service Operation phase as the part of the lifecycle, where the services and value is actually delivered to end-users and customers. The Service Operation phase is the only phase of the ITIL life cycle, that consists of process and functions. When designing the processs and functions, it’s important to focus on the delivered value! Without this focus, you will never be able to develop your IT from manufactory to factory. Value Stream Mapping is method for analyzing the current state, and designing the new state of a process. Knowledge about the current state is mandatory for the design of the future state. Value Stream Mapping is a well-known method in Lean Management, and it can be applied to any value chain. A value chain is a number of activities to deliver a valuable product or service to a customer. Value Stream Mapping can be used to analyze ITIL Service Operation processes and functions for potential waste. With the knowledge about potential waste, processes and functions can be optimized. I’m sure you can apply all three types of waste to ITIL Service Operation processes and functions. And because of this, methods and instruments known from the Lean Management can help to streamline ITIL Service Operation processes and functions. Lean Management offers a lot instruments and methods, that can be used together with the processes and functions of the ITIL Service Operation phase. One of the greatest benefits is automation. Automate as much as you can. Kaizen (“improvement”) can be used as part of the Continuous Improvement of ITIL. Kanban can be used as part of the Service Desk, Incident or Problem Management. Problem-solving techniques, like A3, Kepner-Tregoe or 5W, can be used in the Problem and Incident Management processes. FMEA can be used for quality management as part of the Application, Technical and IT Operations Management. Total Productive Maintenance (TPM) can be used as part of the IT Operations Management. And there are many more possibilities to use methods and instruments of the Lean Management as part of the ITIL Service Operation Phase. Every process may suffer from different types of waste. This can be due to bad design or bad execution. This can be a big problem in case of the processes and functions of the ITIL Service Operation, because these processes and functions actually deliver services to end-users and customers. To provide the best possible service quality, you need effective and valuable processes and functions. The Value Stream Mapping can help to analyze current processes. With the knowledge about the value-adding activites of the current processes, IT organizations are able to design valuable and waste-free processes and functions. Methods and instruments of the Lean Management can help to achieve this. Lean ITIL Service Operation must be the goal! This entry was posted in industrialization and tagged industrialization, itil, lean, operations management, service operations on June 23, 2016 by Patrick Terlisten. Is lean ITSM a myth? When I talk with companies about IT processes and IT service management (ITSM), ITIL seems to be the de facto standard for ITSM. Implementing an ITSM without using ITIL, seems to be impossible. I have many customers that have implemented ITIL-based ITSM processes and most of them had enormous trouble during the implementation and/ or operation. ITIL doesn’t show you how to design a process. ITIL is a collection of best practices. Usually, you have someone that helps you to design and implement the processes and functions. If you don’t have an experienced consultant, you might get processes, that lead you to the wrong direction: Big, fat, complex, ugly, error prone processes. You don’t have to implement all processes. It’s sufficient to implement some of the processes of the ITIL Service Operation phase to slow down you business. I used the term “agility” in one of my last blog posts (Industrialize your IT – after you have done your homework) to describe the ability of an organization to act flexible, proactive, adaptable and with initiative in times of change and uncertainty. If your business has to be agile, your IT has to be agile. Agility needs lean processes. What are the characteristics of a lean process? For sure, every process should deliver value. The value should, however, be determined by the customer. Only if the customer would pay for it, it’s has a true value. I don’t know how often I saw teams, that has to communicate over a ticket system, just because “it’s the process”. That’s not what I would call a process that respects and involves people. It’s a waste of time and knowhow. To get a streamlined and waste-free process, you have to examine your current processes for potential waste. The Lean Management/ TPS knows different methods and instruments to streamline processes and to avoid waste. Lean IT or ITIL? Or lean ITIL? Some companies think that Kanban is all you need for Lean IT. No, that’s not all you need. Kanban is only an instrument to implement the pull principle. Lean IT is much more. But you don’t have to throw away your ITIL knowhow. It can be useful to review your current ITIL processes for potential waste. Many Lean Management methods and instruments can be used in ITIL processes and functions. With a little skill, you can streamline your processes and get much leaner ITIL processes. This is nothing new. ITIL and Six Sigma are often used together. In this case, Six Sigma is used to optimize the quality and the output of ITIL processes. So why not use Lean Management methods and instruments to put ITIL processes on diet? This entry was posted in industrialization and tagged industrialization, itil, itsm, lean, service operations on May 12, 2016 by Patrick Terlisten. Keith wrote a nice blog post and I really recommend to read it. His point is, that automation enables business agility. The point of automation is to enable business agility. Business agility isn’t achieved by automating inefficient processes. The start of an IT automation project begins by examining existing processes and eliminating inefficiency. Agility is the ability of an organization to act flexible, proactive, adaptable and with initiative in times of change and uncertainty. Can IT automation enable business agility? No, I don’t think that IT automation can enable business agility. Business processes are very organic systems that grow and evolve as a company’s business and culture matures. and I’m totally fine with this statement. Processes tend to optimize themselves, if you let them. In cases where consultants are hired to improve faulty processes, the processes are often not the problem. The people who run them are often the problem. Automation comes after you’ve established a repeatable process that has few if any points of contention. A business process has to deliver value. That’s quite clear. But a process has to deliver value and it has to be lean. Otherwise the business would lose its agility. What are the characteristics of a lean process? Money and time are better spent implementing an IP management system and continuing the manual processes. The problem wasn’t self-provisioning of VM’s but waiting for IP address assignment. This example clearly shows that it’s mandatory to check each and every process for potential waste and pain points. Only after this step, you will be able to design a new, lean process. IT automation can’t enable business agility. But lean business processes can do. IT automation can help you to streamline your business processes. All of this goes back to my drumbeat that IT infrastructure practitioners acquire business alongside their technical skill set. 100% agree! The time of the people who have been sitting in dark basements, with their “There are 10 types of people” shirts and the opinion, that IT is the navel of the world, comes to an end. This entry was posted in industrialization and tagged industrialization, itil, lean, operations management, processes, service operations on May 8, 2016 by Patrick Terlisten. I really like the idea behind Kanban. I wrote about it in 2014 (Organize your work with Kanban), and I even wrote my bachelor thesis about it (Industrialisierung der ITIL Service Operation Phase unter Verwendung von Lean Management // Industrialization of the ITIL Service Operation phase with Lean Management). The word “kanban” comes from the japanese and can be translated with “signboard”, “card” or “billboard”. Kanban is a scheduling system and helps to implement the pull principle in a lean manufacturing system. The methods and instruments of lean management are widely used, not only in the industrial manufacturing. Especially in the the agile software development, Kanban has reached a noteworthy distribution. Kanban is used in the Toyota Production System (TPS), which was developed by Sakichi Toyoda, Kiichiro Toyoda and Taiichi Ohno. Taiichi Ohno is often stated as the “father” of TPS. TPS was developed to achieve a just-in-time production and to avoid overburden (muri), inconsistency (mura) and to eliminate waste (muda). To this end, TPS is built on two main pillars. TPS know different methods to avoid the seven types of waste. One of these methods is the pull principle. Kanban is an instrument to implement the pull principle in an industrial production process. Lean Manufacturing is often used as a synonym for TPS. TPS and Lean Manufacturing are similar, but not the same. Lean Management is a more generic approach. Lean Manufacturing has been defined by Womack / Jones / Roos after they have studied the japanese automotive industry. How can I use Kanban to improve my work? In 2014, I wrote a blog post on how to organize your work with Kanban (Organize your work with Kanban). Kanban is used not only in the industrial manufacturing, but also in areas like software development or agile project management. Kanboard is not for everybody, it’s made for people who want to manage their projects efficiently and simply. I’m stumbled over Kanboard some weeks ago. Kanboard is an open-source project management software, based on the Kanban methodology. It’s developed by Frédéric Guillot. Kanboard is simple – easy installation, no fancy GUI. Focused on simplicity and minimalism. 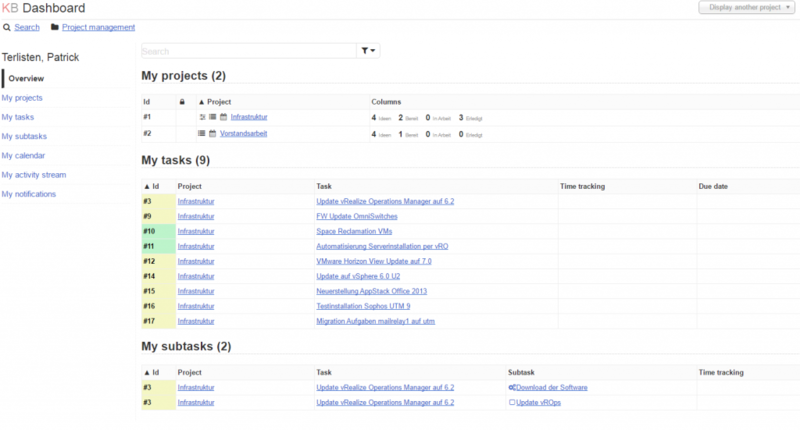 It uses the visualization and the Kanban methodology to give you an easy overview of projects and tasks. You can use subtasks, attachments and comments to breakdown complex tasks. You can use the markdown syntax to format comments. A central dashboard gives you centralised view over all projects, the number of tasks etc. Kanboard also offers Gantt charts to visualize the timeline of your projects. Most projects are done in teams, so it should be no surprise that you can work in teams with Kanban. Even international teams are no problem, because Kanboard is available in 26 languages. You can create local uses or you can use external authentication sources, like a LDAP directory (Microsoft Active Directory). In addition, you can use Google, Github or Gitlab as authentication source. If you wish to use something else, Kanboard offers a custom authentication system that is using a flexible authentication reverse proxy. You can use customizable user roles to implement different project roles and some kind of role-based access control. If you need a bit more security, you can implement 2-factor authentication. Kanboard offers some nice integrations/ plugins. You can use APIs or web hooks to interact with other systems, you can subscribe to calenders using RSS, or you can use SMTP to create new tasks in Kanboard. Furthermore, Kanban is able to notify you using Hipchat, Slack, RocketChat, Mattemrost and Jabber. Automation is mandatory. You can use automation to change nearly everything automatically, for example the assignee of a task, the color of a card, categories etc. Controlling is also mandatory. Because of this, Kanboard offers a nice time tracking feature to keep track time for tasks and subtasks. The embedded analytics and reports helps you to analyze and improve your work. They offer simple flow diagrams or the burn down charts. The installation is really easy. All you need is a web server (Linux, Windows, FreeBSD etc.) with PHP support. For small deployments, you don’t need a database. In this case, Kanboard will use sqlite. Download the software, upload it to your webserver and extract it. Make sure that the “data” folder is writeable for the user, that is running the web server. Open a browser and enter the URL (depends on your deployment, whether it is a subfolder or whether you are using virtual servers). The first login is username “admin” and password “admin” (don’t forget to change it!). That’s it. Make sure that you read the documentation, especially if you want to use integrations / plugins. In addition, you should read the documentation to familiarize yourself with the functions of Kanboard. Kanboard is a simple and lightweight way, to use the Kanban methodology for agile project management. I like the simple installation and the really lightweight and responsive user interface. I really recommend to give it a try, not only if you are searching for a agile project management tool. You can treat everything as a project. This entry was posted in industrialization and tagged industrialization, kanban, lean on April 1, 2016 by Patrick Terlisten. Complexity, in general usage, tends to be used to characterize something with many parts in intricate arrangement. Following this disambiguation, and assuming that “many” means N > 2, all systems with at least two or more components are complex. But that would be an exaggeration, right? Why is information technology complex? Most systems in information technology (IT) are complex. Almost everything we are working with, consists of two or more components, regardless if it is hardware or software. But it’s a question of the perspective. If you look at a system from a higher level, you will only be able to identify some of the greater components. If you look closer at it, you will be able to identify more, smaller components. Every system consists of hardware and software. Hardware is nothing without software. Think of a storage system, with all those disks, controllers, disk enclosures, firmware etc. Or think bigger: A complete infrastructure based on a VMware vSphere cluster with multiple servers, network switches, SAN switches, storage systems, synchronous mirroring between data centers etc. The system can be split into its components and sub-components. And each component and sub-component is more or less important of the operational function of the whole system. Adding more features makes a system even more complex. With each added feature or modified feature, the probability rises, that something breaks or doesn’t work as expected. IT systems and infrastructure tends to act like a nonlinear system. In fact, there is no uniqe definition of complexity. What complexity means, is in the eye of the beholder. If you understand each component of a complex system very well, the whole system isn’t complex for you. But the same system would be a “complexity hell” for someone else. I’ve talked to many customers in the last months. Most of them don’t try to understand each aspect of their infrastructure. All they want, and all they need, to know is how to keep it running. And most of them have accepted that they need external help (like me), even for “simple tasks” e.g. adding a vSphere ESXi host, create new LUNs, adding VLANs, recovering a database etc. This also includes planned site failovers, even if the failover is done with a few clicks. It’s the order of the necessary tasks and the knowledge about dependencies, that prevents customers to do this on their own. Interestingly, this is not only a problem of smaller companies, or smaller IT teams. I also observed this in bigger companies and IT teams. The only difference is, that you have more specialized staff in bigger organisations. One-track specialists. Knowledge is distributed over more individuals. Each and everything has to be discussed in bigger teams, meetings etc, because each individual knows only a small part of a bigger picture. A typical reaction is to source less known, or “complex”, systems out. Out of sight, out of mind. I hear you say “Migrate to public cloud / IaaS / PaaS etc”. But does this make it more simple? No. Complexity is only shifted. Automation can reduce complexity! No, automation can hide complexity. You should only automate, what you have fully understood. A nice GUI can reduce complexity! No, a nice GUI can hide complexity. So there is no way out? One possible way out of the “complexity hell” is to try to understand most (not all… that’s nearly impossible) of the components, and how they are interacting with each other. This seems to be the best way, right? No, it’s not the best way. To achieve this, you would need to invest much more time in building up knowledge. Sure, that might be a way for someone who has time, or someone who is being paid for his knowledge. But this seems to be not the best way for most customers. Another possible way out of the “complexity hell” is to try to reduce components. Keep it simple. Focus on a lean design. Focus on the problem. Focus on the requirements. Lean thinking and a A scientific approach during the solution design, can help to build less complex systems. A customer doesn’t need a synchronous mirrored storage or replication, only because he has two datacenters. Sometimes, distributing primary storage and backup into different datacentes is sufficient. 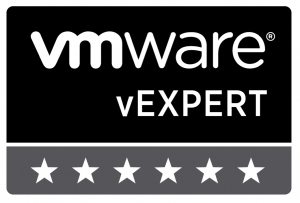 Stop using iSCSI or Fibre Channel for three or four node VMware or Hyper-V clusters. Focus on SAS for storage interconnect. Skip 24×7 support contacts if the customer only works from 9 to 5. Design the backup concept from the recovery perspective. You get no prize for the prettiest solution. IT isn’t a beauty contest. Build simple and robust solutions. Complexity can’t be reduced with specific products. It’s a question of the design. This entry was posted in industrialization and tagged industrialization, lean, rant on March 26, 2016 by Patrick Terlisten. Everyone has their own technique to organize work. As you maybe know, I’m a big fan of Lean. And you know maybe also, that Lean is a philosophy based on the aspect to create value for customers and eliminate waste of resources in production processes. Taiichi Ōno, the father of the Toyota productionsystem, defined seven forms of waste. Womack and Jones developed Lean Production, which is based on TPS, and highlighted five principles to achieve a lean production. There is especially one principle, which is used to schedule work: The pull principle, and Kanban is a method to realize this. Ōno stated, that Kanban has to follow strict rules and two rules are very important: Downstream work stages relate on the work of upstream work stages. The amount of the requested demand is indicated by a signal card. The upstream work stages produce only in the quantity demanded, and only if the demand has been requested by downstream work stages. Downstream work stages “pull” work from upstream work stages and the demand is delivered just-in-time. This sounds reasonable, if it’s a production process. But how can this help me to organize my work? Kanban literally means “signboard” or “billboard”. The board is used to visualize the work flow. The board is divided into sections, to which Kanban cards will be attached. A Kanban card signals that something must be done and it can be moved through the different stages. This is a simple three sections board for visualizing to-dos. Now you can add Kanban cards to the board. When you switch from “To Do” to “Doing”, simply move the Kanban card of the Task to the “Doing” section. If you finished the task, move the Kanban card to “Done”. To create a flow and minimize task switches it’s important to add a Work-in-Progess limit. This is indicated by the  behind “Doing”. This means that at maximum two tasks can be in the “Doing” section. Why is a WiP limit important? The WiP limit limits the number of tasks in a section. New tasks are pulled, when there is free capacity, e.g. when another task is finished. This limits the number of switches between different tasks. You can focus on a limited number of tasks and in the end, you will be able to increase the throughput, and due the limited task switches, the quality will also increase. Because there are two Kanban cards in my “Doing” section, the section is colored. If I move a third Kanban card to it, the section would be coloured red. As you can see: You have to follow the rules so that Kanban works. Feel free to create multiple sections. I use Kanban for my personal to-dos and for my work. The visualization helps to get a quick overview. I also use mindmaps, because it’s also a good instrument to visualize complex things. I use Trello for my personal Kanban. You can use it with a web browser, on Windows 8, iPad, iPhone, Android and Kindle Fire. I use the Chrome app along with the Kanban WiP for Trello extension. I also have the app on my iPhone and iPad. I really like Trello. It’s lightweight and customizable. You can add dates, labels and attachments to Kanban cards. You can also add comments, check lists and a description to it. I really recommend to simply try it! Kanban is not as hard as it seems. Use it. Strive for perfection. This entry was posted in industrialization and tagged kanban, lean, productivity on July 31, 2014 by Patrick Terlisten.